With truck manufacturers forever trying to decrease a vehicle’s weight, composite body panels are present on nearly all trucks. This product is great in not only being lightweight but its also a lot cheaper to manufacture than pressed panels, benefiting our customer to save money as most main dealers will not cover accident damage on any kind of driveline warranty. By using us you have a serious alternative even on brand new trucks. We offer a wide range of quality body panels from OE factories that fit first time. 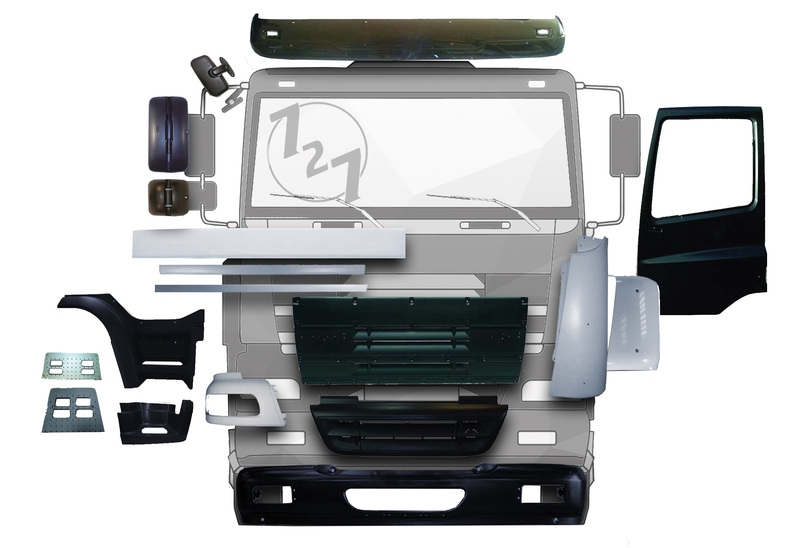 OTHER BODY COMPONENTS - WE HAVE 100'S OF PART NUMBERS THAT RELATE TO BODY PANEL APPLICATIONS, FROM BRACKETS, SCREW, AND BOLTS TO STEP WINGS, BUMPERS, AND DOORS, IF IT'S FITTED TO A TRUCK, CHANCES ARE WEVE GOT IT!